The working disciples throughout the world are struggling with every means at their disposal to spread the gospel of sacrifice, because only upon sacrifice can world stability be safely founded ~ the sacrifice of selfishness. Without sacrifice, the entire manifested universe would not exist. Cosmic Deity sacrificed life to the universe, just as our Solar Deity gave life to the solar system. And the legacy of our Planetary Deity is laced with the theme of sacrifice. The Deva kingdom exhibits sacrifice on our behalf, as well as do the so-called lower kingdoms in nature, through our Planetary Purpose. 1. That which is Logoically-imposed. 2. That which is Soul-imposed. The esoteric Law of Sacrifice is the first of seven Laws of the Soul or Group Life given by Alice Bailey in Esoteric Psychology II. Sacrifice of the lower allows that which is higher to be expressed. 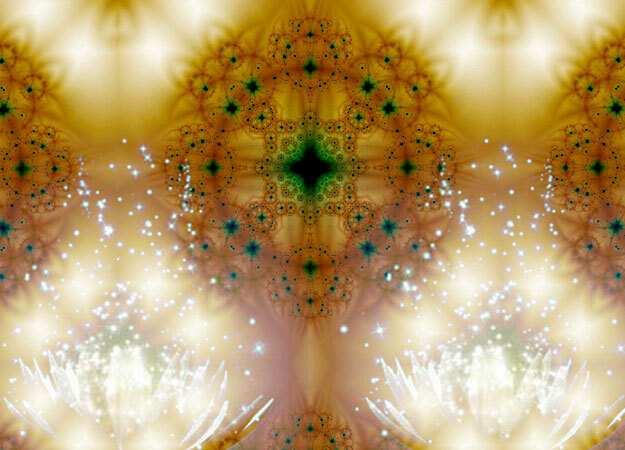 This is based on identification with the Soul, instead of the lower aspect of the self. It involves the relinquishing of negative thought and emotion to those of higher vibration. From the angle of form, we tend to think of sacrifice as the will of the weak giving way to the will of the strong. Yet in later cycles of life, through the application of wisdom and for the purpose of evolution, the will of the strong (or further evolved) is yielded to assist the weaker. With every decision, we sacrifice all else for the one avenue being chosen. Sacrifice, then, is the yielding of energy. We give up! Through selfless service, the Gospel of Sacrifice runs in and through the life expression of all world servers. To sacrifice calls us to share what we have to offer with that which has need for it. This compels us to bring sacrifice all the way into and through the physical manifestation of life itself. The result of selfless sacrifice transcends any difficulty incurred in the process, for what has been gained outweighs all cost. Sacrifice is offered unto the altar of grace, to serve and heal humanity. Grace and Compassion are the products of Sacrifice being applied on the level of soul. Sacrifice is truly an opportunity. Reaching for our higher selves through service to others is an act of purification, allowing each of us to utilize our most potent asset ~ love without desire for reciprocation. Such offerings are of great assistance in achieving heightened group consciousness, as sacrificial acts such as kindness or giving reverberate like the ripple effect of a stone tossed in a pond. It’s really very simple. Every time we help the one or the many we come closer to our essential divinity, until that stupendous experience is accomplished at the end of the long evolutionary process of human experience when nothing else remains to be done or purified or sacrificed, and we actualize our true identity as one with God. Than this full and complete achievement, there is no higher purpose. We are part of God, sparks within the One Flame. Dispassion - The emotional nature is rendered immune from the appeal of the senses and desire fails to deter the soul from its rightful task. Discrimination - The mind identifies with the good, the beautiful and the true and overcomes illusions of the personality. Sacrifice requires the relinquishing of gain. (10) This can be accomplished through applying this sequence to any challenge or disruptive situation, and will bring about reorientation from a horizontal focus to a vertical expression. Excerpt from "An Esoteric Catechism"
I kill desire, and I strive, forgetting all reward. Sacrifice itself is reflective of the Christ energy. Through sacrifice we emulate the Divine Son to approach and eventually become the Christ consciousness, thus realizing our essential identity as One with the Father or spirit. A number of the themes associated with Era 2012 events on the planet are tied to the Law of Sacrifice. There is a stage to be reached in the human consciousness, where that which lies behind the dualities—the stage of essential oneness—can, and will be recognised. 1. Progress in human consciousness. 2. Growing refinement of the forms of life, paralleled in the various kingdoms of nature. 3. Intensified conscious activity, on a scale of rapid living, that transcends time as we know it. 4. Expanding realisation of progress from one dimension to another, until today physicists are generally convinced of multiple dimensions. 5. Increasing scientific control of the physical elements and of the forces of nature. Today we talk in terms of space exploration just as 500 years ago they talked in terms of the mastery of oceans. We are offsetting the gravitational pull of the earth so that we can "fly into the face of the sun." To serve the One Life is to sacrifice our personal will to Divine Will. Therefore the tier of Soul petals associated with the will aspect is interchangeably referred to both as the Sacrifice petals and as the Service petals. Service to the Hierarchy of Light is service to the General Good. Of course, striving to the General Good opens the gates of higher knowledge and Service. But I would like you to realize clearly what qualities you must first develop in yourself for advancement on the path of Service. Many people are dreaming about the General Good and even are ready to work for it as long as it does not interfere with their habits and prosperity. But true service to the General Good, which leads to the gates of the Stronghold of Light, requires sacrifice and complete disdain for everything personal, in other words, the complete abandonment of selfhood. When the consciousness is broadened, when all feelings and comprehension are refined, the law of sacrifice will be accepted as the highest achievement. There will be no room for self-pity, fear of the future, offenses and envy because with every breath will sublimity, beauty, and the highest joy of service be realized. The mature spirit who consciously chooses the path of Service knows the joy of a broadened consciousness and the fiery striving to the Highest Consciousness; he knows the joy of fulfillment of the Higher Will; he knows the joy of discovery and the destination of life; and in the appointed hour he will learn the sublimity and beauty of the final sacrament. We are in essence a reflection of the Godhead, made in the image of God, and eventually reflect the Holy Spirit or Mother or Matter through our bodies, the Son or Soul through our consciousness, and finally the Father or One Spirit or God through our spirits. We can thereby see how sacrifice and service are necessary for an individual, or the entire human kingdom, to eventually reflect perfectly that which we ARE. Sacrifice expresses throughout life on earth, and through countless actson the part of world servers. [Baseball] is a community activity. You need all nine people helping one another. I love bunt plays. I love the idea of the bunt. I love the idea of the sacrifice. Even the word is good, giving yourself up for the good of the whole. That's Jeremiah, that's thousands of years of wisdom. You find your own good in the good of the whole. You find your own individual fulfillment in the success of the community ~ the Bible tried to do that and didn't teach you. Baseball did. 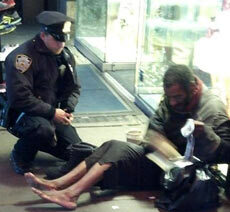 The hearts of thousands of people were touched when NYPD Officer Lawrence DePrimo was photographed giving boots and socks to a homeless man.